When going through the Edgar Cayce’s 14,000+ readings, I try to put them in context. How is our world today different from when the Readings were given in the first half of the 20th Century? Chicken was commonly recommended in the health readings, but today’s factory-farmed birds are nothing like the chicken recommended by Edgar Cayce. Before the 1950’s chickens were scrawny birds that were used for eggs and soup. After the 1950’s chickens got supersized and mass-produced. Some gigantic modern birds can barely move because their muscles grow faster than their bones. […] In the early 20th century, chicken meat was merely a byproduct of egg production. The only chickens that were sold for meat were older hens that could no longer lay eggs. So it was a rare and expensive product. Even though the meat would be tough and unpalatable by today’s standards. But that changed rapidly after WWII. […] In 2012, the average American consumed 4x as much chicken as they did in 1950. A Nebraskan resisting Costco’s new chicken operation said, “Our mantra is, this is not farming, this is industrial production of widgets. Below are some selections from the Cayce Readings that point out that “meat” is the least important part of using chickens for food. Broth is made by boiling the cartilage portions of the animal in water. The size of chickens in the 1930’s were miniature compared to what we can buy in the modern grocery store, so the ratio of cartilage to meat was much higher than we find in today’s factory chicken. Modern industry has organized to sell us chicken meat, but Edgar Cayce frequently told the recipients of the readings to eat “very little of the meat itself”. (Q) Is there any special diet I should follow? Other readings say that if the fish is canned, the bones can be eaten too. In the above reading, Edgar Cayce noted that consuming adequate calcium while pregnant is important for the “body that is expected’s” future teeth. Chicken bones are just as good as any supplement for this purpose. Figuring out how to “eat healthy” is a nearly-impossible task in the the modern world, as there are many commonly-repeated maxims that are misinterpretations of the actual findings of Science. The wisdom contained in the thousands of Edgar Cayce readings is a better foundation for health. I’ve written a supplement to this blog post for my email list subscribers, where I share my theory of some of the scientific reasons behind the recommendation for consuming chicken in this manner. You can sign up for these reports by putting your email into the box on this page. Edgar Cayce regularly emphasized the importance of eating an “alkaline-reacting diet”. In January 2018 I read a few hit-pieces against this dietary philosophy in the mainstream media. The target of their spin was Tom Brady, who is actually doing quite well as the National Football League’s oldest quarterback. The hit pieces pointed out that the body is able to regulate its blood-pH quite well regardless of a person’s diet “thank-you-very-much”. Many proponents of alkaline diets mistakenly say the goal is to alkalize our blood, when the actual areas that benefits from a more alkaline diet are the insides of our individual cells. Certain dietary proteins have significant amounts of phosphorus (beans) and sulfur (meat/eggs). These phosphorus/sulfur-containing proteins are metabolized inside our cells into phosphoric acid and sulfuric acid. When a cell doesn’t have enough of the alkaline minerals it has to employ destructive ‘backup procedures’ to transport these acids to the extracellular fluid. The important thing about alkaline foods (vegetables, fruits, etc) is that they’re sources of the 4 minerals that we need in quantity to balance the body’s acidic metabolic processes: calcium, magnesium, potassium and sodium. The five major minerals in the human body are calcium, phosphorus, potassium, sodium, and magnesium. All of the remaining elements in a human body are called “trace elements”. The trace elements that have a specific biochemical function in the human body are sulfur, iron, chlorine, cobalt, copper, zinc, manganese, molybdenum, iodine and selenium. When I was figuring things out, I tried the “lots of raw vegetables” diet. Somewhere I have a picture of my kitchen after I’d made a raw vegetable smoothie, maybe 14 years ago. There was green splatter everywhere. Later I read Cayce telling someone to eat their vegetables “well-cooked”. Some vegetables have digestion/thyroid inhibitors that are deactivated by cooking. This is probably why I didn’t get much benefit from my raw vegetable smoothies. A lot of people have misinterpreted Edgar Cayce as only recommending raw milk. For people recovering from a serious illnesses, Cayce sometimes recommend fresh milk “with the heat of the cow” — NOT chilled raw milk. Cayce also said that pasteurized/cooked milk was acceptable for other people. All things considered, milk can be a useful food for many people – even when it’s pasteurized and non-organic. All dairy farmers – ‘conventional’ and ‘organic’ alike — have to take better care of their dairy cows than feedlots, as happy cows produce more milk than unhealthy cows. Sometimes people are sensitive to what the farmer feeds their dairy cows – switching brands might help. If you’ve lost your ability to process lactose, you can probably recover it by slowly reintroducing small quantities of milk products to your diet. Milk is a good source of easily-digestible protein, calcium, potassium and carbohydrates. In this photo, dry milk powder provides extra calcium, potassium and protein. Carob powder is a good source of magnesium and other beneficial substances. Tumeric is anti-inflammatory. Calories from sugar provoke half the insulin response as an equivalent amount of calories from starch (wheat, beans, corn, etc). 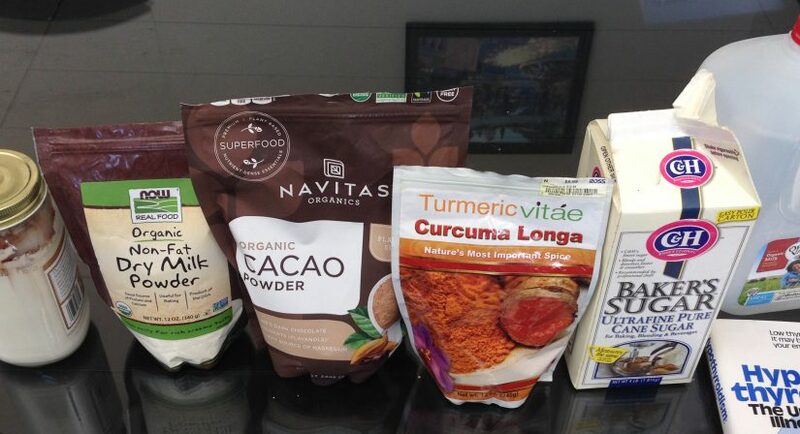 Shaking in the jar is the quickest way to mix these ingredients into milk. 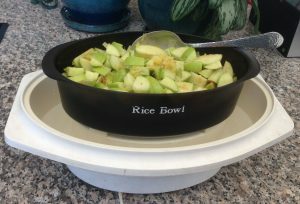 A vegetable steamer is another way to get the powders to mix easily — see my facebook post for the steamer I use. The book (in the picture) is a 40-year old classic that I recently found at a thrift store. My summary is that restoring people’s metabolism helps all sorts of health problems ‘go away’. Edgar Cayce said this too, decades before this book was written. Cayce’s approach to metabolism restoration is more holistic than the strategy used by the author of this book. The company which made Armour Thyroid (the prescription thyroid medication recommended in the book) was sold, the medication was reformulated several times and may not be as good as what helped patients 50 years ago. I sent an email about Cayce’s strategies for restoring metabolism a while back. 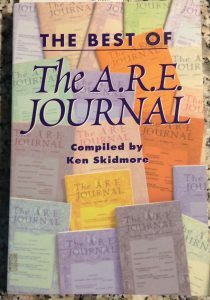 This was titled “Edgar Cayce’s Core Secret for Regeneration” — if you haven’t seen this yet, sign up for my ‘free reports’ and respond to the confirmation email to ask for a copy. My next email report will be about other ‘secrets’ to affordably alkalize your diet for pennies a day — even if your entire food budge is provided by SNAP (food stamps). I’ll also cover the ‘backup procedure’ that the body has to employ when you don’t get enough of the alkaline minerals, so you’ll better understand why this aspect of Cayce’s dietary advice is so critically important. The sister protested, “they have dairy-free frosting!” This is one of the ways that food companies health-wash garbage foods. Dairy is a generally-acceptable source of calories, and is much safer than modern dairy-substitutes. 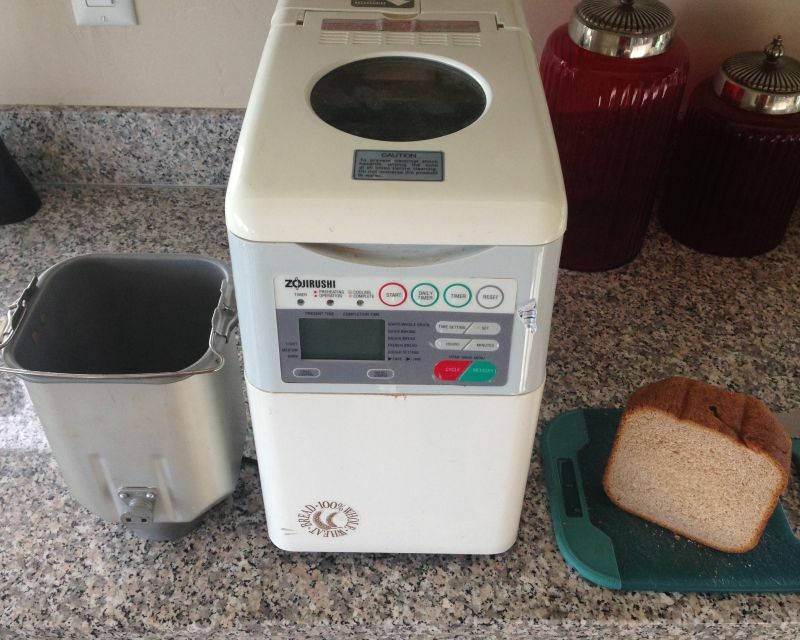 My mom bought this bread machine about 25 years ago. It was used sporadically, and was ‘gifted’ to my brother 3 years ago. He used it a few times before it migrated into his garage. 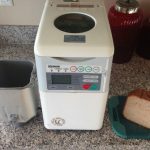 This is the usual fate of a bread machine. I was drawn to a chapter about Mr. Cayce’s advice for foods. In reading (462-14) (M 57, 1942), Cayce was asked about frozen foods, “especially [frozen] vegetables and fruits that are on the market today.” His answer was that it depends, but generally frozen fruits retain more of their vitamins than frozen vegetables. Cayce was also asked about “steam pressure for cooking foods quickly”. The response was that this cooking method “rather preserves than destroys” vitamins in fruits and vegetables. Reading (243-36) (F 62, 1942) recommended cooking Jerusalem Artichokes in patapar paper “so that all the juice of same may be stirred or mixed with the bulk when this is eaten.” This food was to help with kidney inflammation. 6. Noons – not too much should be taken at this meal, and that only of vegetable juices. And the preferable way to prepare such juices would be through cooking the vegetables after tying them in Patapar paper; not putting them in water to boil, but cooking either in the Patapar paper or in a steam steamer, so that only the juices from the vegetables may be obtained – and no water added in the cooking at all. Then these juices should be combined and seasoned to the taste. This activity will build into the system the proper associations with that which has been indicated by the corrections in the spine, and make for the corrections in the activities throughout the digestive system. I’d previously seen references to Patapar paper, but never thought to look for it. This reading notes that steamers are acceptable too. “Seasoned to taste” certainly refers to the adding of salt. The amount of salt needed varies from person to person and season to season – one’s own taste buds are the best indicator of the amount of salt necessary. The Paterson Parchment Paper Co. is still in business, and they still sell the Patapar paper that Mr. Cayce recommends. This steamer also has a slotted basket for cooking vegetables. But when this is used, the vegetables juices are entirely wasted. Cooking vegetables using the rice bowl allows all the fruit and vegetable juices to be saved. Some of the vegetables I steam regularly include green beans, okra, zuchini, and tomatoes. One of my family complains when I steam tomatoes, but Mr. Cayce said cooked tomatoes allows more of the nutrients to be absorbed. This is a friend’s steamer basket. He tries to eat healthy, but uses too much water when cooking his zucchini. Any kind of vegetable is better than no vegetables, but he’d get more of the alkalizing minerals by using a small amount of water, and consuming the cooking water too. 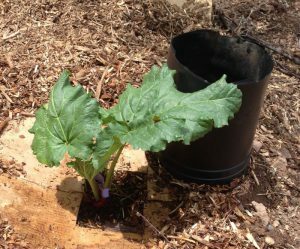 Rhubarb – cutting the bottom out of the pot and placing over the plant forces it to grow longer stalks. 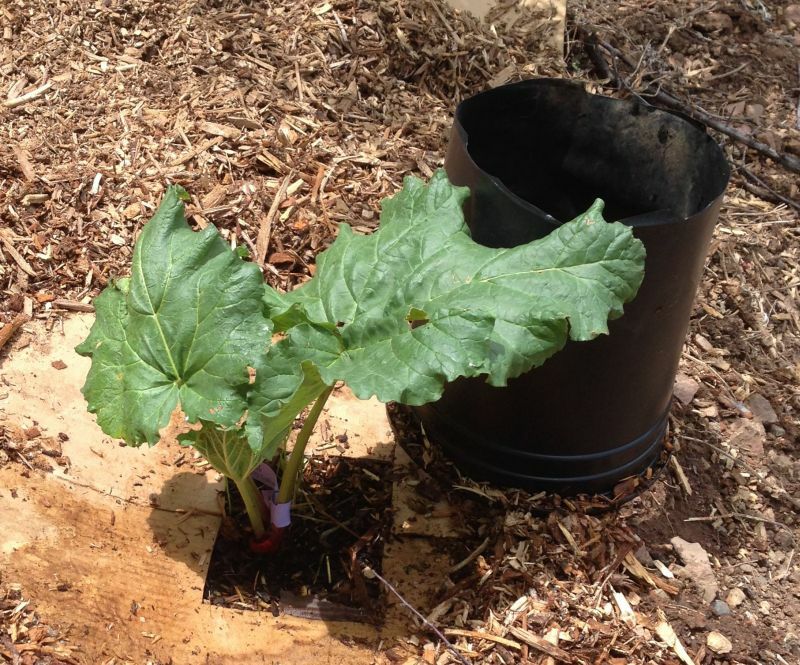 Cardboard & wood chips keep weeds down. A case of ‘bipolar disorder’ in the Cayce Readings? In a recent facebook post about the importance of light, I quoted reading #252-1. It seems like this teenager suffered from what today might be called “bipolar disorder”. Conventional medicine is basically helpless when treating this diagnosis – wikipedia says “the exact mechanism underlying the disorder remains unclear”. The treatments offered are palliative, rather than curative. 4. There are periods when there are seemingly unnecessary expressions or manifestations of the activities, as related to the anger and the expression of same. There are other periods when the docility of the body becomes as an extreme. Mr. Cayce precisely gave an aetiology of the young woman’s condition. This examination of the causes “related to the anger and the expression of same” is certainly relevant to many people’s experiences today. The text of this reading is below. I’ve bolded a few passages that I think are important. Continue reading A case of ‘bipolar disorder’ in the Cayce Readings? One of the major dietary problems suffered by humans in the modern world is the substitution of imitation-foods for our evolutionarily-appropriate cuisine. The most dangerous of these substitutions is that of “biodiesel” (commonly sold as “vegetable oil”) for the naturally-saturated fats that humans have consumed for thousands of years. No biodiesel was used to fry these potatoes. The slices were a little thick – more like french fry texture than potato chip texture. Another problem was that the slices were too wet. 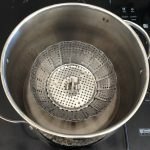 I’d pre-rinsed the potato slices in a pot of water, because potato-water is a good source of protein, and to hopefully keep solids from accumulating in the bottom of my fryer. 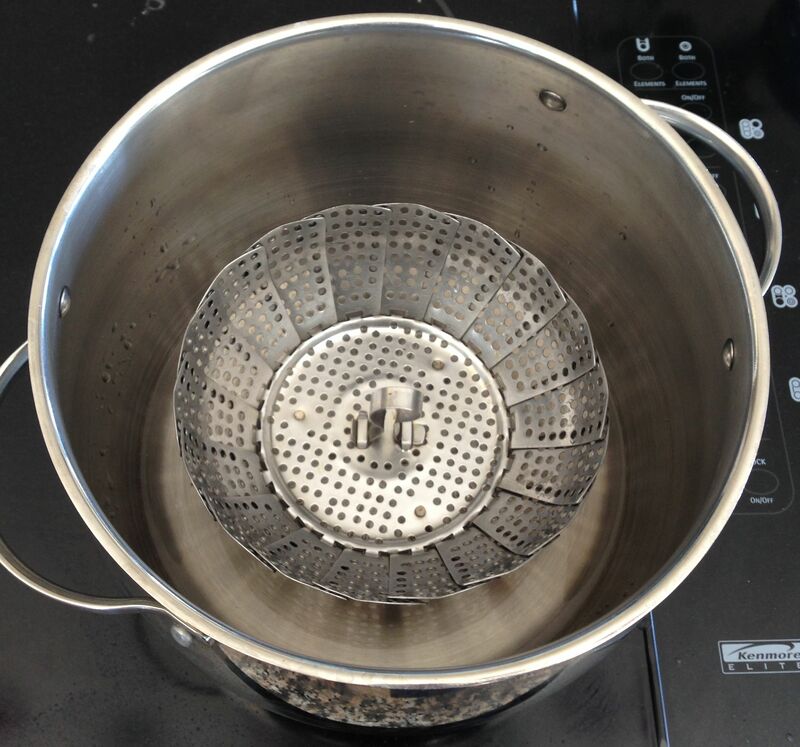 The fryer is a Hamilton Beach 12-Cup. My first batch of donuts was fried in a pot on the stove, but it was a challenge to control the temperature, and the oil was burned after a single use. The Hamilton Beach fryer automatically turns off the heating element when the oil reaches the temperature set by the dial. The dial is not especially precise, which is why I use the laser thermometer, which is an Etekcity Lasergrip 774. Boiling and baking potatoes are better cooking methods – a little bit of butter complements the potato starch nicely. Steven Breaux in Louisianna emailed me recently asking about buying some Cayce Grounding Coins to give away for the holidays. Steven used to have chronic sinus troubles – carrying two Cayce Grounding coins has allowed him to breathe freely for these past three years. 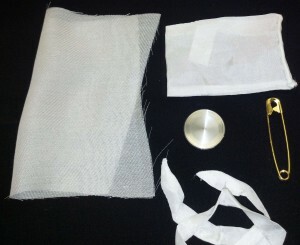 His testimonial is on the Cayce Carbon-Steel Grounding Coin page.